Three years ago, posting as Bookman, I created GNI BOOK CLUB. The response was encouraging. Following Bookman's self-exile in late 2011, however, the book club faded into the netherworld. Today I'm pleased to launch GNI BOOK CLUB . All members are invited to share information about books they're reading and discuss book-related matters. 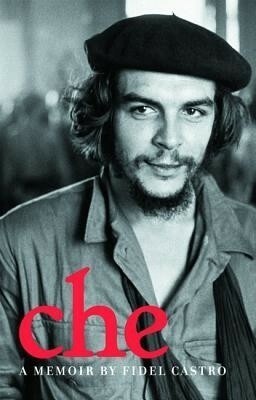 I just finished reading "MY LIFE WITH CHE: The Making of a Revolutionary" by Hilda Gadea. She was the first wife of the legendary revolutionary Ernesto Che Guevara. This book was first published in 1972, five years after Che was assassinated in Bolivia. Hilda Gadea died of cancer in 1974. 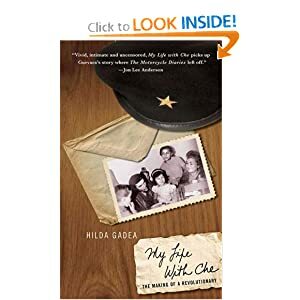 Last week I also read another memoir by Che's second wife, Aleida March. That book, "REMEMBERING CHE:My Life With Che Guevara", was first published in 2008. Together, these two books open windows into the personal and professional aspects of a larger-than-life character who made a mark in history and died at the youthful age of 39, fighting for a more humane world. Yes, Sunil. And I read the book too. I also read Che's Bolivian and Congo diaries. In December 1969, I read REMINISCENCES OF THE CUBAN REVOLUTIONARY WAR by Ernesto Che Guevara. I was 18 years old and impressionable. That book changed my life with the result that I joined a leftist political party and became an activist for many years. I lived in Caracas for a few year where I met a lot of Argentinans contemporaries of the Che who were in exile there, I also met a lot of Chileans including Isabella Allende who were also in exile. We used to hang out every Saturday evening discussing politics and listening to Cuban music of Silvio Rodriguez and Pablo Milanes. I recommended this book here couple of years ago. I will do it again...the main character reminds me of a GNI poster. Purlitzer prize book....A Confederacy of Dunces by John Kennedy Toole. i think they trying to make a movie of it. Warrior, where reading is concerned I'm open-minded. Some of my favorite authors were apologists for colonialism and imperialism. Just two examples: Rudyard Kipling and H. Rider Haggard. I love good writing, regardless of ideology. 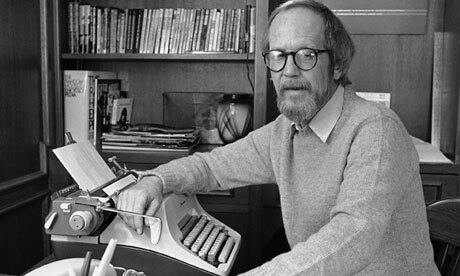 GNI crime fiction fans must have heard by now that US writer Elmore Leonard passed away today at age 87. He had suffered a stroke last month. Elmore Leonard was a prolific novelist who started writing westerns and then settled for crime stories. Some of his books made for great action movies, e.g., "Get Shorty" starring John Travolta. I've read only one of his books: CUBA LIBRE. Little about Taylor's primitive upbringing, in a remote mining town in the Amazon jungle, prepared him for a first-of-a-kind scholarship to West Point. An extraordinary opportunity for most, his was a life-changer. 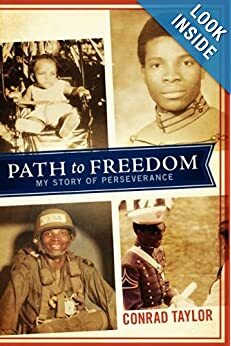 PATH to FREEDOM charts a sometimes-humorous journey of perseverance, resilience, hope, survival, and love. It traverses between Guyana and the United States Military Academy - at the height of the Vietnam War. The narrative sums up rude awakenings, especially after West Point - because of West Point. Taylor offers up a ringside seat to a dictatorship obsessed about him being in cahoots with the United States. His was the impossible task of proving that he was not - or else! 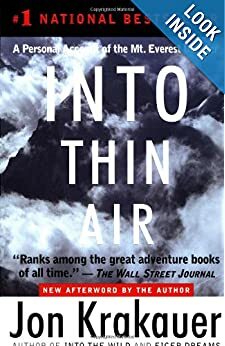 More than a memoir, this historically-accurate book provides a unique prism through which to see the cultural trauma of emigration, the unique experience that is West Point, the personal side of Cold-War-era geopolitics, and the mayhem of Third World politics. Its subtly-threaded love story sets it apart. IGH, I read this book recently. Conrad Taylor gave a first-hand account of the victimization and harassment he and another West Point grad Chaitram Singh were subjected to in the GDF. Taylor was not a member of any political party. Just because he and Singh were Queen's College cadets who got scholarships to study at West Point, they were suspected of being CIA spies. After spending only a few days in Guyana, Conrad fled to the USA. 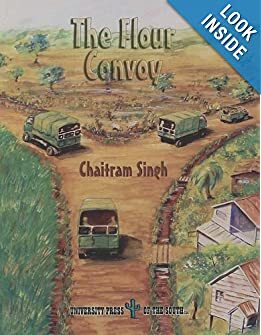 What happened to Chaitram Singh? The name sounds familiar. IGH, I should have pointed out that even though Conrad Taylor didn't belong to any political party, his mother-in-law was a PNC activist in Kitty and very close to comrade Burnham who also knew Conrad's wife since she was a little girl. That's how LFSB offered to be god father to Conrad's child. It is good to see to eraser heads on opposite spectrum taking pot shot at me. At least it is a good thing to see you both read good books if but you understand little. The characters in the book are not people but extreme archetypes of philosophical viewpoints. As caricatures they do not grow or transform or have any personality as humans but is known for the eccentricities of the philosophical positions they represent. Now you two twits, go and re read the book. I see simple words can cause you to go into paroxysms of idiotic giggling...not my fault. Just finished reading "CHE: A Memoir" by Fidel Castro. This book contains Fidel's speeches, articles and interviews about his Argentine-born comrade-in-arms. 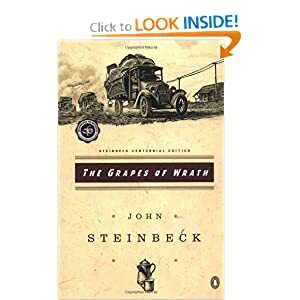 Finished reading THE GRAPES OF WRATH by John Steinbeck. 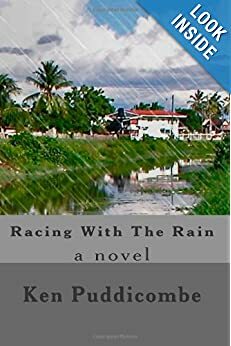 This realist novel, first published in 1938, is set against the background of the Great Depression in the United States eight decades ago. It tells the story of a tenant-farming Oklahoma extended family, the Joads. Driven from the land by drought and economic hardship, the family is enticed by a yellow handbill to travel all the way to supposedly green and fertile California. The handbill promises jobs as fruit pickers, and the Joads hope to settle down with nice house and land. By story's end, however, the family has suffered two adult deaths, one desertion, a stillborn child, exploitation, near starvation and no hope of realizing the big dream. The Joads are representative of thousands of other poor farmers in a similar plight, who are forced to face heartless banks and big farmers. THE GRAPES OF WRATH is regarded as a classic of American literature. 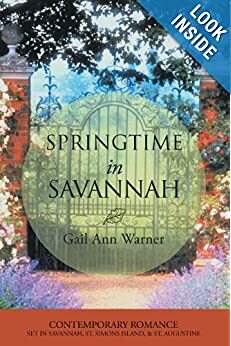 Our GNI Book Club is open to readers of all preferences. No one will be judged on the basis of his/her reading tastes. Let's make our club a fun place where we simply share whatever we're reading, even if it's a slim comic book. BTW, I loved comic books and encouraged my son to read them when he was growing up. Whether you're reading a romance novel, crime fiction, a western, an adventure story, a biography or whatever, I urge everyone to participate in our conversations on books. Chameli, while CALL OF THE WILD might appear at first glance to be a simple tale about a sled dog named Buck, it is full of deep layers of meaning relating to philosophy and the environment. 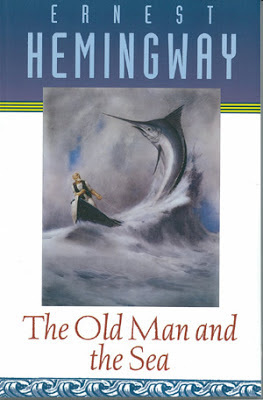 Just finished " The Old Man and the Sea" again because I had to teach it to a group of students. That marlin is some piece of work! Read both of these books about 5 years ago.. 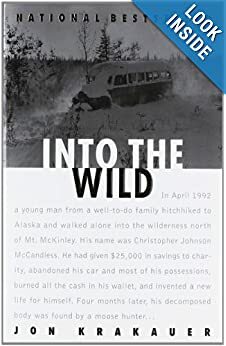 This is crazy because it was just reported on CNN that a young man read " Into the Wild" and decided to follow Christopher. The young man's body was discovered, apparently wasted from starvation. What a coincidence! Last night I started reading THE OLD MAN AND THE SEA. This is the third time I'm reading it. Ernest Hemingway is one of my favorite authors. I visited his house in Cuba 24 years ago. so, is it a good thing or a bad thing that I am reading Call Of the Wild? is there some kinda weird thing happening? It's a very good thing you're reading CALL OF THE WILD. Nothing weird. Finished reading Ernest Hemingway's 1952 novella THE OLD MAN AND THE SEA; third time. Short and sweet. Santiago is an old Cuban fisherman. He has two obsessions: fishing and baseball. For 84 straight days he sailed his tiny boat to the ocean north of Havana but returned home every day without a catch, not even a gilbakka. But Santiago was born to fish and doesn't give up. He returns to the ocean, to a point where he can no longer see land, and hooks a fish that feels big and strong on his line. It takes him a day and a night to pull the big fish in and strap it alongside his boat. The fish, a marlin, is 18 feet long and Santiago estimates it weighs about 1500 pounds. He figures he can sell 1000 pounds good fish in a Havana market at 30 cents a pound. Before Santiago returns to his ocean-front village, however, ferocious sharks attack and only the marlin's skeleton is left hanging on his boat. On land, the skeleton becomes an object of wonder; one fisherman says it's the biggest fish ever caught. Will the old man ever fish again? Sure. As he nicely puts it, a man can be destroyed but not defeated. Something to think about. 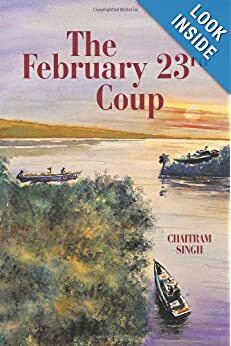 NEWS FLASH: Chaitram Singh's novel THE FEBRUARY 23RD COUP is in the shortlist of the BEST BOOK OF FICTION category for the 2013 GUYANA PRIZE FOR LITERATURE. The winner will be announced on February 15. Good luck to Chait! MOSCOW, September 5 (RIA Novosti) – Celebrated Russian author Leo Tolstoy’s entire body of work – all 90 volumes – along with comprehensive biographical materials has been posted online and will be available for free, a descendant says. “We wanted to come up with an official website that will contain academically justified information,” said Fyokla Tolstaya, the writer’s great-great-granddaughter. 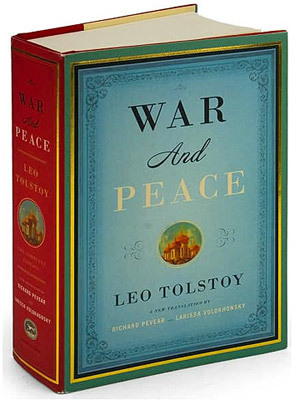 Tolstoy’s epics “War and Peace” and “Anna Karenina” still top most of the lists of greatest novels of all time. Tolstoy’s works were part of the obligatory high-school curriculum in the Soviet Union and Russia. Generations of Russian students have had to read the more than 800-page “War and Peace” – with boys preferring the war and girls the peace, according to a popular saying.